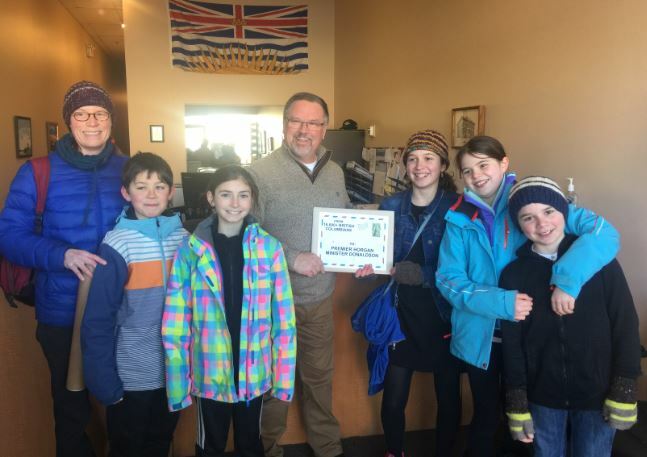 20,000+ send a message to MLAs across BC: Save old-growth forests! 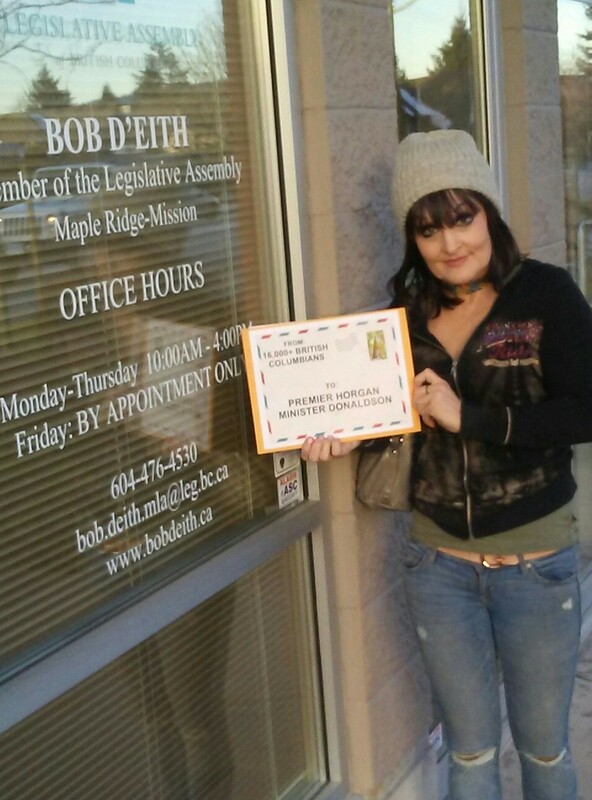 On February 6, sixteen MLAs across the province received a visit from concerned constituents. 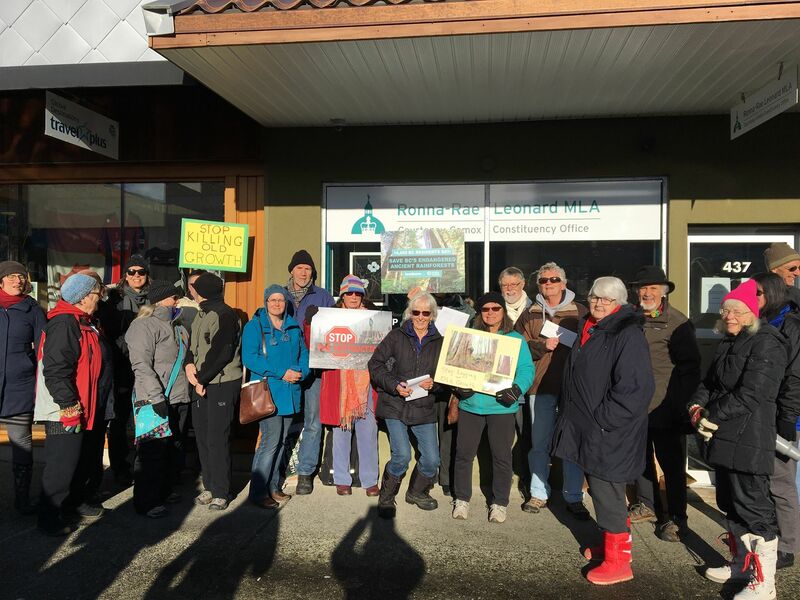 More than a hundred people showed up to their constituency offices to deliver a letter signed by 20,000+ BC residents calling for the protection of the last intact stands of unprotected old-growth on Vancouver Island and endangered old-growth forests across the province. 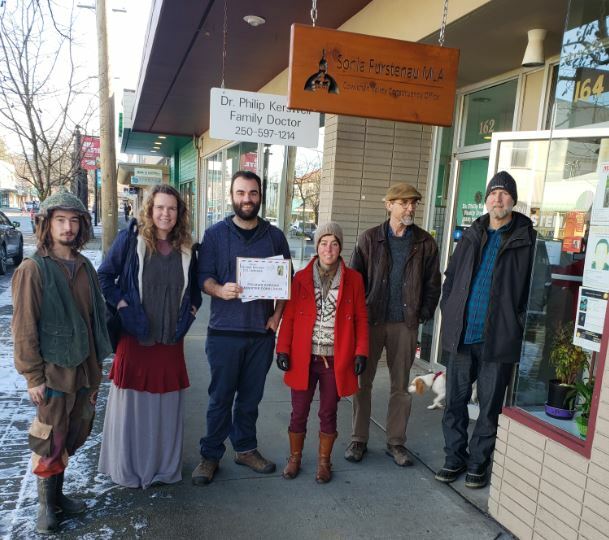 We are so grateful to these dedicated supporters of Sierra Club BC and Leadnow for signing and showing up on a cold, snowy day to stand tall for old-growth forests. 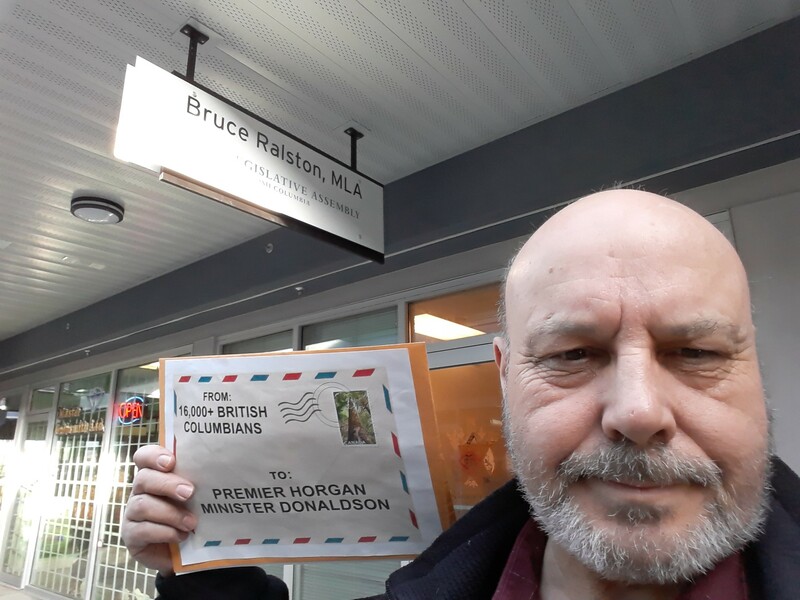 Large crowds gathered for deliveries at the constituency offices of Premier John Horgan in Langford and Environment Minister George Heyman in Vancouver. 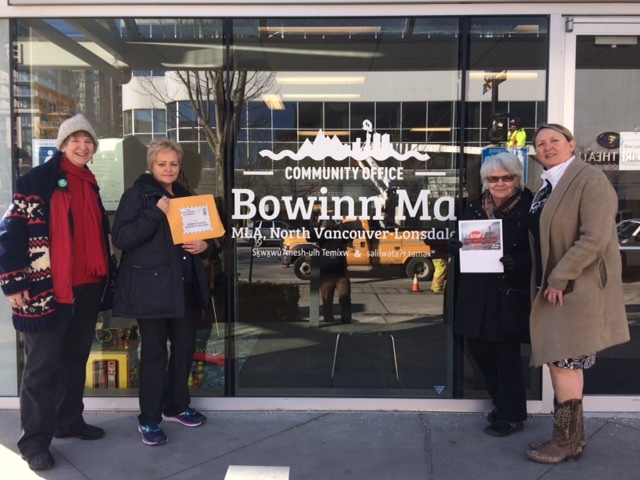 Deliveries were also made to the MLAs of Nanaimo-North Cowichan, Courtenay-Comox, North Island, Victoria-Swan Lake, Surrey-Whalley, North Vancouver-Lonsdale, Vancouver-Hastings, Vancouver-West End, West Point Grey, Powell-River Sunshine Coast, Port Coquitlam, Maple Ridge-Mission, Parksville-Qualicum, Cowichan Valley and Penticton. 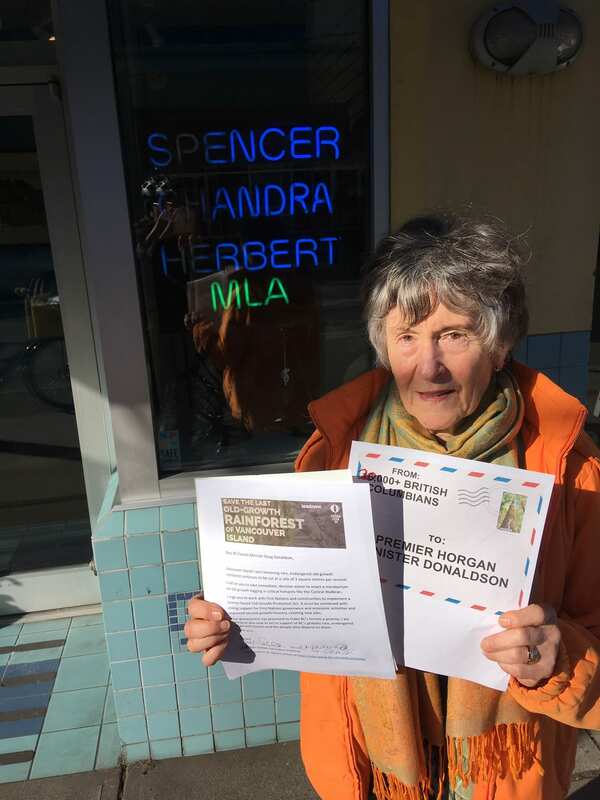 The letter makes an urgent call to safeguard remaining intact old-growth and the life support systems we all depend on before it’s too late. 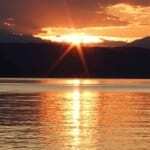 In its election platform, the BC NDP promised to take action for old-growth. But eighteen months after taking power, the government has yet to take meaningful steps to protect endangered ancient forests. The events drew significant media coverage, province-wide and locally. 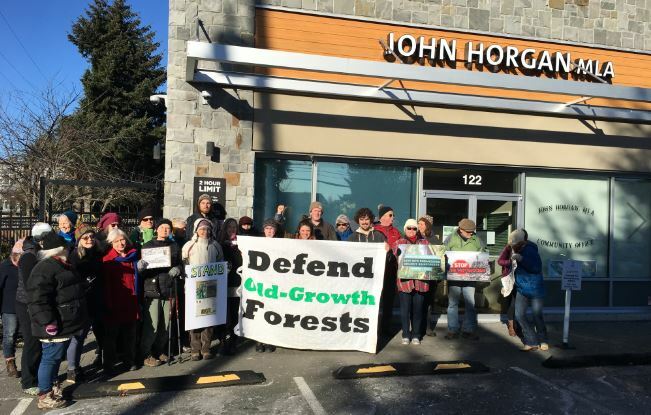 In just six weeks, Sierra Club BC has garnered 43 media hits highlighting the importance of protecting old-growth forests in BC! Several reporters asked the BC government for a reaction. 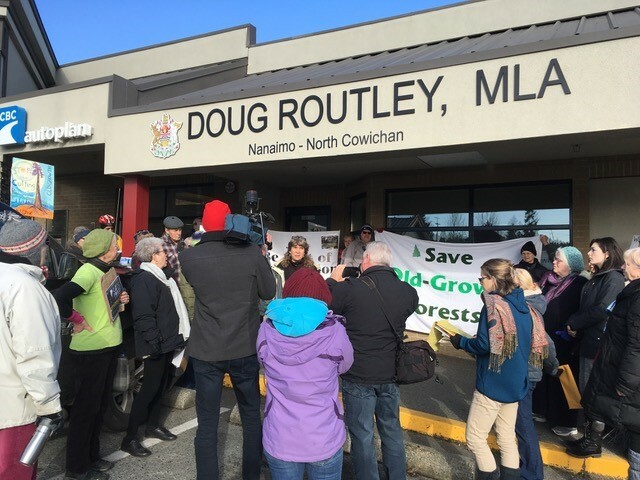 Forest Minister Doug Donaldson told the CBC that the province is considering environmental groups’ concerns as it refines its upcoming old-growth strategy. Recently, the province initiated work to review and prepare changes to BC’s logging laws—the Forest and Range Practices Act (FRPA) and its regulatory framework. 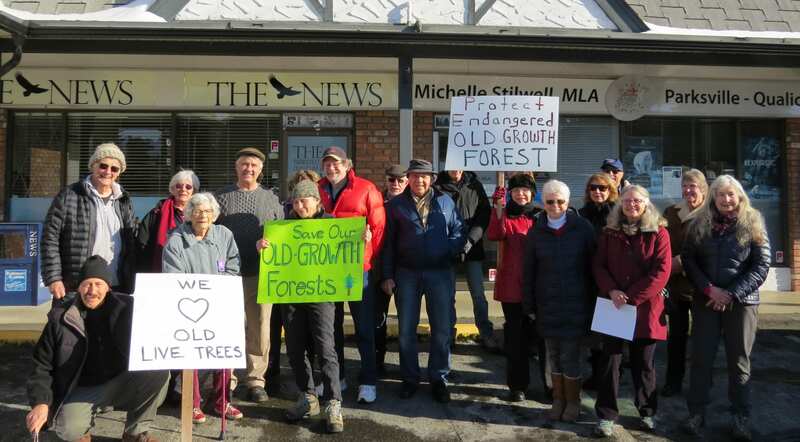 An effective ‘old-growth strategy’ would either have to be included in changes to this law or developed as additional law. A starting point for appropriate stewardship will be for the provincial government to report detailed and accurately about the state of BC’s old-growth forests across the province, how much of the original old-growth is left, how much of the original old-growth is protected and how much is being logged per year, for different types of forests. This is currently not the case. 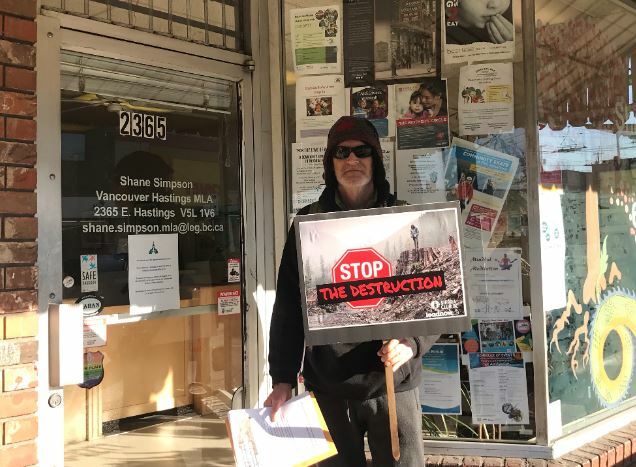 The plight of BC’s old-growth, especially in the context of the growing climate crisis, has become an ecological emergency. B.C.’s temperate rainforests represent the largest remaining tracts of a globally rare ecosystem covering just half a per cent of the planet’s landmass. 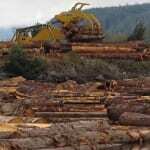 Yet the current rate of old-growth logging on Vancouver Island alone is more than three square metres per second, or about thirty-four soccer fields per day. The most endangered old-growth rainforest with the biggest trees now only cover 6.5 per cent of the Island. The Great Bear Rainforest Agreements showed solutions for healthy rainforests and healthy communities are possible. Implementing similar conservation steps across the province will require effective government support for forestry jobs in improved management of second-growth forest and First Nations that seek to protect more forests in their territories. 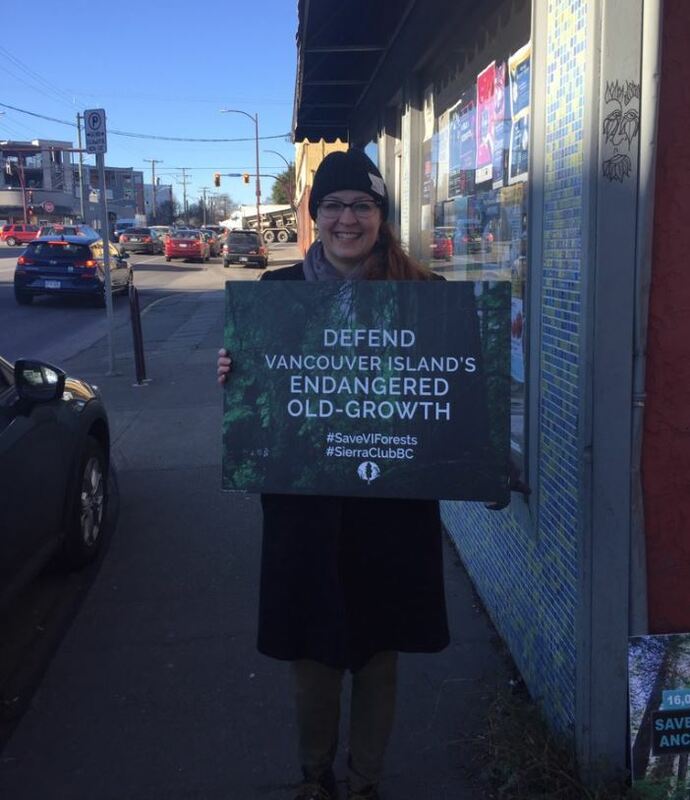 Thanks to the thousands in BC and hundreds of thousands around the world that already stood up for BC’s endangered ancient forests we are a little more hopeful this month that the province will see the light and do the right thing. We will need your help every step along the way.